What Is the Diet for Adrenal Fatigue? Adrenal fatigue defines a syndrome which is marked by fatigue, moodiness, depression and food cravings among several other symptoms. 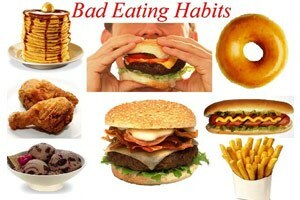 You can cope with these symptoms by modifications in eating habits and enhancing diet quality. Proper diet for adrenal fatigue may consist of healthy carbohydrates, proteins, vitamins and minerals. It occurs as a result of poor function of the adrenal glands. The underlying cause may be excessive stress, hypothyroidism or other diseases and illnesses. In these situations, overstimulation of the adrenal glands for an extended period of time leads to their malfunction. On the other hand, malfunctioning of the endocrine system also leads to other conditions, such as hypothyroidism which is marked by an underactive thyroid gland. How to Prevent Adrenal Fatigue? There are several ways of preventing and dealing with adrenal fatigue as well as hypothyroidism. Managing stress and adopting the right diet for adrenal fatigue are the first steps towards recovering from this syndrome. 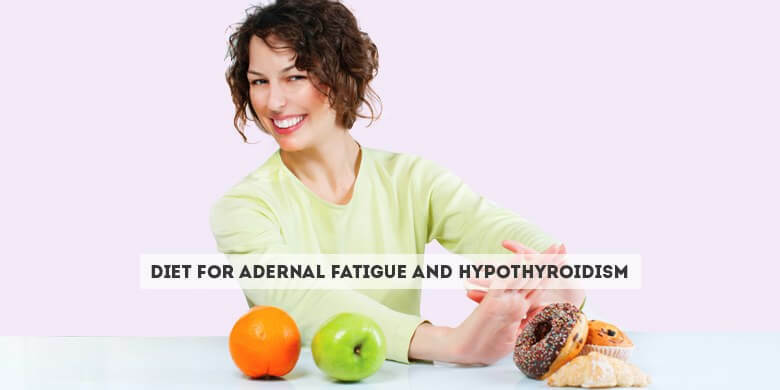 Discussed below is a plan for the right diet for adrenal fatigue and hypothyroidism. One of the effects of overstimulated adrenal glands leading to adrenal fatigue is the conversion of stored body fats into energy. This is the natural way of preparing the body to cope with various forms of stress. However, as a result, most of the body’s stored energy can be used up, leaving an individual feeling weak and fatigued. Therefore, it is of utmost importance to replenish the body’s reserve of energy in order to deal with general fatigue and lethargy. This should be done by including healthy carbohydrates in the diet. This will also deal with the symptoms of hypothyroidism. Healthy carbs are also known as complex carbohydrates. Their health benefit lies in the fact that they release energy into the bloodstream gradually and steadily without causing an abrupt spike in the blood sugar level. 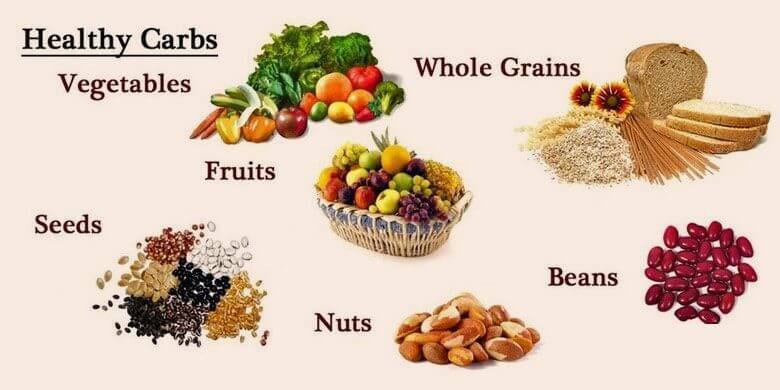 Listed below are some of the good sources of healthy carbs. Legumes – beans, lentils and chickpeas offer healthy carbohydrates in addition to lots of fiber as well as protein. So, you can use them as diet for adrenal fatigue. Dairy Products – low fat milk, yogurt and cheese make a very healthy snack. These dairy products contain a complex sugar known as lactose. Whole grains – whole grains are rich in fiber as well as protein in addition to being a healthy source of complex carbohydrates. The best whole grain snack is popcorn which can replace a bag of potato chips or other unhealthy alternatives. Bananas as Diet for Adrenal Fatigue – bananas contain natural sugars which boost energy levels. A banana can be a substitute for unhealthy desserts. Blueberries – packed with a high amount of antioxidants, blueberries are low in calories and serve as a healthy source of good carbs. Whole Grain Cereals – begin your day with a dose of healthy carbs through whole grain cereals. Oatmeal can be a good choice. A protein diet can help the body in many ways. 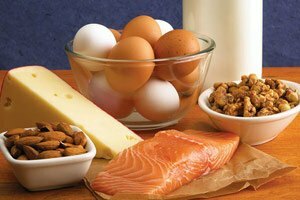 The high nutritional value of proteins plays a significant role in helping the body recover and build its strength. In addition, consuming a high protein diet helps individuals stay away from unhealthy food choices. Therefore, the following sources of protein should be included in the diet for adrenal fatigue and hypothyroidism. Sea Food – sea food, such as fish, is low in fat and high in protein. It also delivers other nutrients including omega-3 fatty acids. Chicken – another source of protein with low fat is chicken. Consume it without the skin. Low-fat Dairy Products – consume low fat milk and cheese as they are packed with protein. Soy – soy delivers protein and maintains the heart health owing to its low cholesterol content. Assorted Nuts – a handful of assorted nuts – almonds, walnuts, hazelnuts and pistachio – provides protein as well as healthy unsaturated fat to the body. Legumes – peanuts, beans and lentils are a high source of protein as well as fiber. The right diet plan for adrenal fatigue also includes giving up bad eating habits. It also helps in other health problems, such as hypothyroidism. Follow the diet tips given below. Do not skip your day’s very first meal, that is, your breakfast. Starting the day with low energy levels can add to your fatigue. In addition, you might end up making bad food choices during the rest of the day if you fail to fulfill your body’s nutritional and energy requirements within an hour of waking up. Be easy on the sweets as a spike in blood sugar levels ends up disrupting your body’s homeostatic balance. Instead, turn to healthy alternatives, such as fruits, for the sake of your sweet tooth. Take your meals on time instead of delaying them. This is another way of dealing with adrenal fatigue since it helps in maintaining your body’s homeostatic balance. 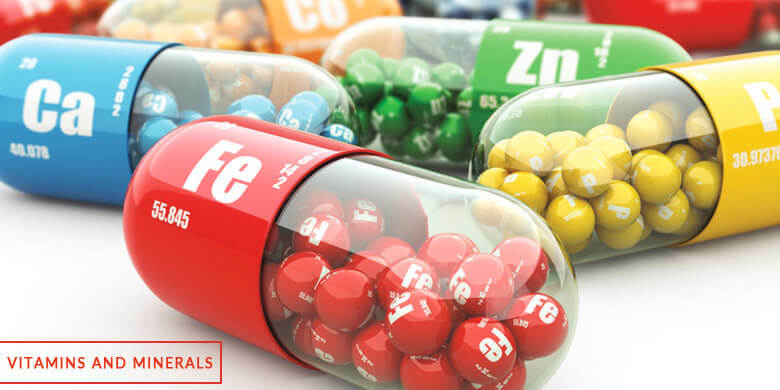 Vitamins and minerals are an important part of the diet for adrenal fatigue and hypothyroidism. They play an important part in helping the body recover. In addition, they are also important for strengthening the adrenal glands and supporting their functionality. Therefore, make sure you consume the following minerals and vitamins. Vitamin B Complex – the B Complex vitamins help in regulating stress hormones which are important for coping with different kinds of stress. As a result, the adrenal glands are saved from being overstimulated when the body goes through stressful situations. Calcium – this important mineral plays a part in producing a calming effect which helps the body alleviate stress. Magnesium – this mineral is a source of energy for the adrenal glands. As the glands receive strength, they perform their function better. In this way, individuals can prevent or recover from adrenal fatigue. Zinc, Iodine, Selenium and Manganese – these trace minerals help in producing a calming effect. As a result, the body can deal with stress better without overburdening the adrenal glands. Iodine is also important to deal with hypothyroidism. Vitamin C – the body’s immune system gets strength from the vitamin C. This is important for preventing various diseases which can be a cause of stress for the body leading to adrenal fatigue. It is common to reach for unhealthy sweets and saturated fat in times of stress. However, you should turn to the following healthy stress foods which produce a calming effect and prevent adrenal fatigue. Leafy Green Vegetables – these vegetables contain folate which leads to the production of dopamine in the body. This chemical compound stimulates the brain to induce pleasure. As a result, the body feels calm. Oatmeal – rich in healthy carbs and fiber, oatmeal can help fill you up when your stressed body craves for a doughnut or white pasta. Healthy carbohydrates produce serotonin – a chemical which acts as an antidepressant. Dark Chocolate–packed with antioxidants, dark chocolate also acts as an antidepressant. Bananas – bananas lower the blood pressure which leads to a calming effect on the nerves. It is also a rich source of calcium and magnesium which are important for the health of the adrenal glands. Blueberries – the antioxidants packed in blueberries fight stress-related free radicals which can harm the body otherwise. This combination of the right diet for adrenal fatigue, healthy eating habits and stress-fighting foods can help individuals deal with adrenal fatigue effectively.